Are you looking forward to Christmas parties? It's an absolutely magical time of year, but undoubtedly one that some find very stressful with so many parties, drinks and ‘do’s to go to. As a new mother, this is the first time I've been out since having my son, so although a part of me is looking forward to taking some time out from mummy duties, I'm also feeling a little anxious. That's why I've teamed up with George at Asda. As well as inviting me to show off some of their festive fashion, they also asked me to share some party survival tips. We’ll get through this together! 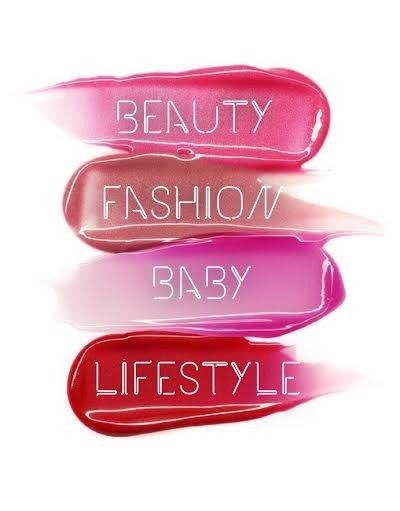 They have everything from perfect party dresses to cool separates and beautiful shoes. Texture, embellishment, sparkle… It's all there, looking great and easy to shop! It should be obvious, but sometimes we forget to relax and enjoy the season. The pressure to have a ‘perfect’ Christmas (whatever that even means!) is real. We feel like we have to find the perfect gifts, cook the perfect dinner, and dazzle in the perfect outfit at all our festive occaisions. But in chasing this ideal so hard, we can sometimes almost forget to have fun! In the rush, make sure you take a moment to breathe and realise that the best Christmasses aren't about perfection- they're about love, humour and bonding. No one will remember next year if the sprouts were a little underdone or the place settings weren't perfect. But they will remember having a good time and lots of laughter with the family, so make that what counts. See beyond the sequins. If glitter isn't your thing, there are plenty of other party fashions to try. 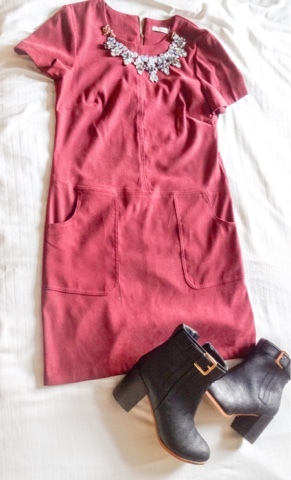 I went for this gorgeous claret coloured suede shift dress from George. The soft fabric and warm colour give it a festive fib, without a sequin in sight! 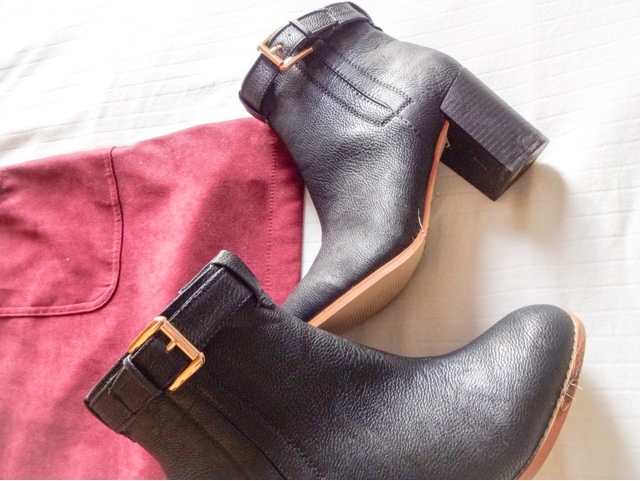 Similarly, spangly sandals aren't my thing, so I chose these gorgeous block heel black ankle boots with gold buckles to give my look a more edgy vibe. And if you don't like dresses, leather leggings or a chic trouser suit can say ‘Christmas party time’ just as much as a mini. Express yourself and your own style and I guarantee you'll feel a lot more festive than trying to squeeze into something the magazines tell you to wear. When it comes to hunting down your Christmas party outfit, the thought of another trip to the shops after numerous treks to get presents, food etc can seem exhausting. So do yourself a favour and pick up something online. 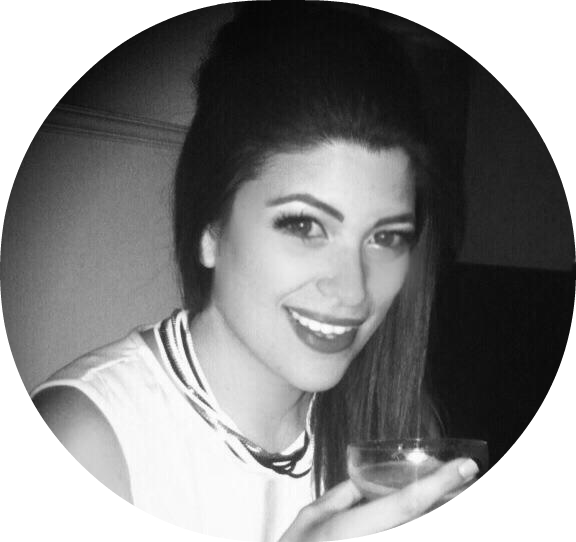 The George website is super easy to use- they even have a dedicated ‘party’ section so you can track down what you need faster. You can also pop into store while doing the food shopping if you prefer to browse in person. Christmas can be seriously expensive, and if you have lots of gifts to buy, sometimes it doesn't leave much spare cash for decking yourself out. 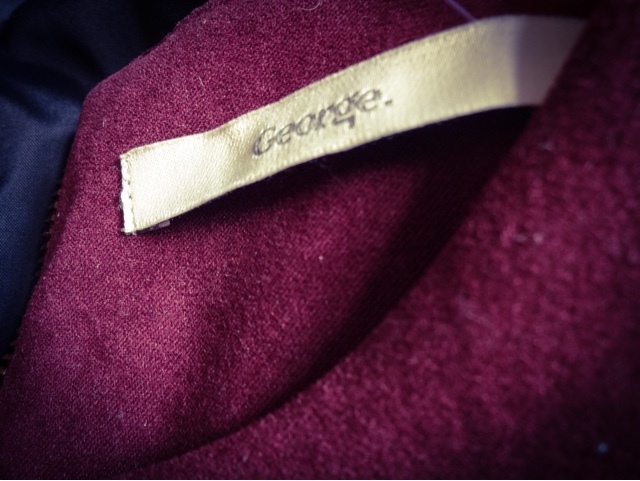 That's another reason George is so great - despite the clothes being really well made and designed to be on trend and a great fit, you don't have to break the bank. 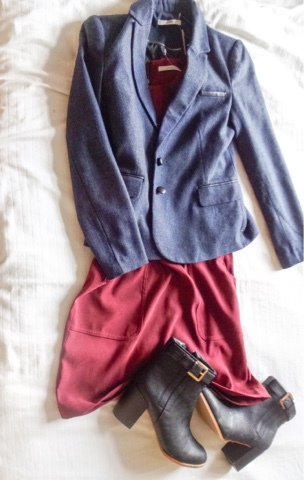 This whole outfit came in at under £70, and the dress was only £16. As well as the pressures on finances and style, time is also in short supply at party season. So why not find an outfit that works for desk to dance floor? Who wants to be crammed into the ladies getting changed for the party along with the rest of the office? Grab a versatile outfit that you can transform with a few key changes and you'll be ahead of the game. 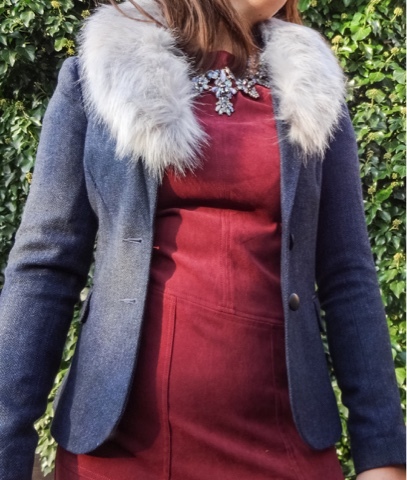 The suede dress I picked is a classic shape and could easily be worn to the office topped with this gorgeous navy herringbone tweed jacket to keep warm, and the black ankle boots. But whip off the black opaques, add in a dramatic statement necklace and a faux fur collar, and it all works for a night time look too.